Been keeping an eye on those for spares but the seller has failed to respond to any of my question about further details. He is either away on holiday for a month or totally incompetent. I do however have a pair of Greencone tweeters in store in case anything nasty happens. Try using an LED torch or worklamp a few feet away from the speaker at an angle where it won't reflect towards the camera. I find that works. The high pass capacitor on the Saba Greencone has been bypassed to allow that driver to run full range. There is no fear of over extending the Sabas as my amps max out at 2 Watts but the improvement to SQ is great, with added gravitas in the lower midband. Nice system, showing evidence of a goodly dose of lateral thinking. Looks great Chris, and I'm sure sounds it, too! Just one thing - you need to learn to use Photobucket or Imageshack, and post properly enlarged pics... I bloody hate thumbnails! 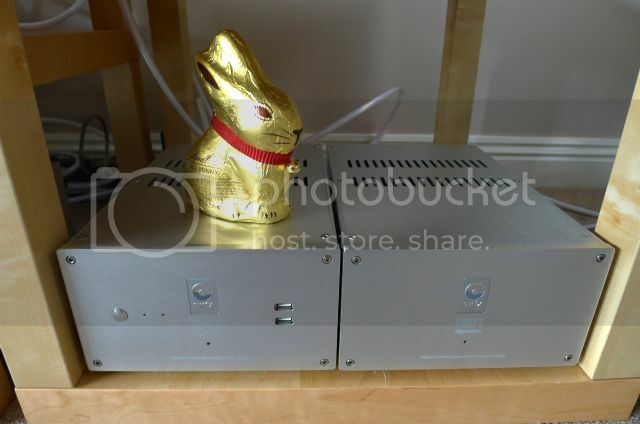 Just treated myself to the SW1X Universal Music Server UMS1 Signature, and its matching Power Supply UPS1 Signature. These are recently released products from SW1X and have serial numbers 02 - Slawa has 01 . Because of this, there are no reviews yet so I will add one later. 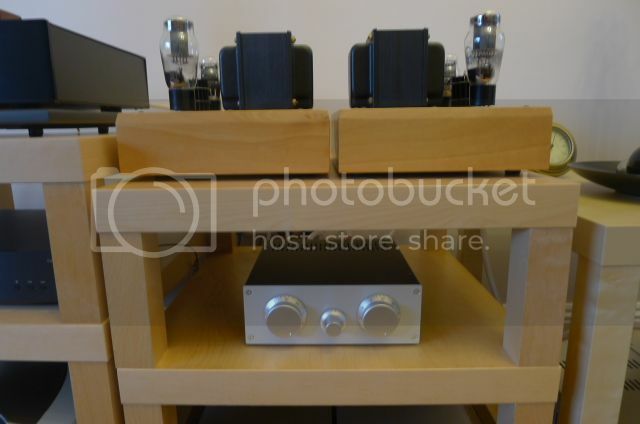 A passive preamp slips seamlessly into the system.